I use Essential Joy Herbal Hair Oil on my daughters hair everyday and ? it!!! It has softened, moisturized, strengthened, and lengthened her hair and it was much needed after she chopped it off. I would definitely recommend to ALL!!! 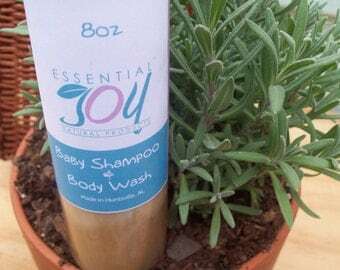 Awesome product line...I even use the products on my infants' hair and skin. 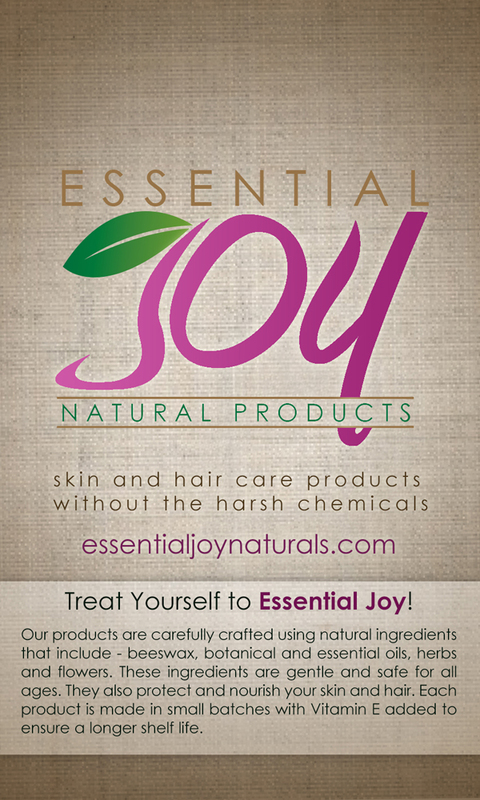 I appreciate the fact that all the products are natural and herb based! Thanks so much for the speedy shipment of balm. It looks as though it will be a nice, calming ointment for baby's skin! How kind of you to send the extra! Perfect to take along in a diaper bag! Kind thank yous! Lovely scalp nourisher and light pomade [Herbal Hair & Scalp Oil] for my thick Asian hair. Fantastic natural ingredients. Thank you! Wonderful. Used on my hair and got amazing shiny results. Using on my sons eczema...amazing as well. Not oily, no oder, very well worth trying coconut oil if you haven't yet...your hair will love you for it! BEARD BUTTER - "Great product. Good value overall. Wonderful shop. A "joy" to do business with." I orderd this beard butter for my husband that is growing a new beard. He says he likes it....that's good enough for me, lol. It is really good on my beard. It took a little time to get use to scent, I would recommend. 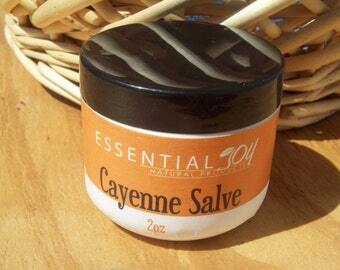 Cayenne Salve - That is some good stuff. That is the best stuff! [Beard Butter] Great product with a pleasant but manly scent. Really softens and tames the beard, giving it a nice shine as well. Very pleased. Thanks. Five star, as usual! I recieved my package promptly which included a free sample, which was an awesome surprise! This baby soap is amazing. My 10 month old son has never had a touch of diaper rash. And, when I had made a mistake in ordering, the shop owner was quick to assist me. [Cayenne Salve] Love this salve - thanks !!!!! !